Epi-blading or Epidermal Leveling is a safe, painless and highly effective clinical treatment designed to evenly and deeply exfoliate the skin of the face and back. It is the most effective, non-invasive epidermal exfoliation treatment available. 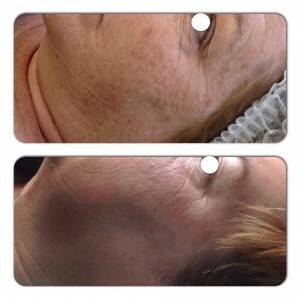 Performed using an Epi-blade to exfoliate pigmentation, age spots, fine “peach fuzz” like hairs and excess oil. This treatment improves the texture of the skin, reduces fine facial hair, helps significantly enhance the penetration of active products, such as retinols, lactic and salicylic acids & vitamin C. See immediate visible results! Extended results are achievable with combined use of selected active treatments immediately following. Suitable for pregnant and lactating women.